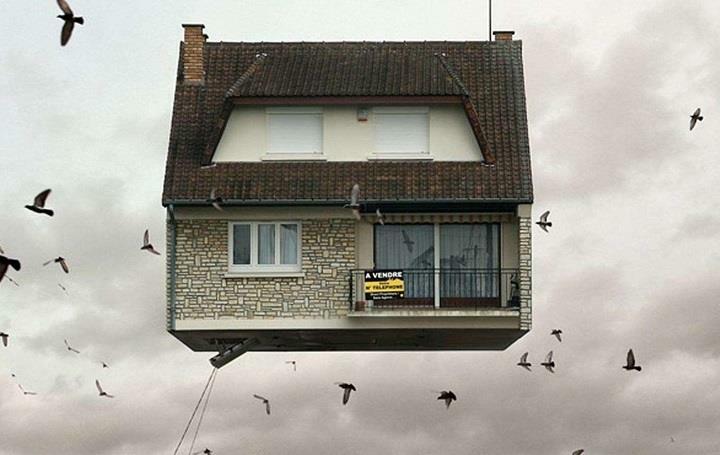 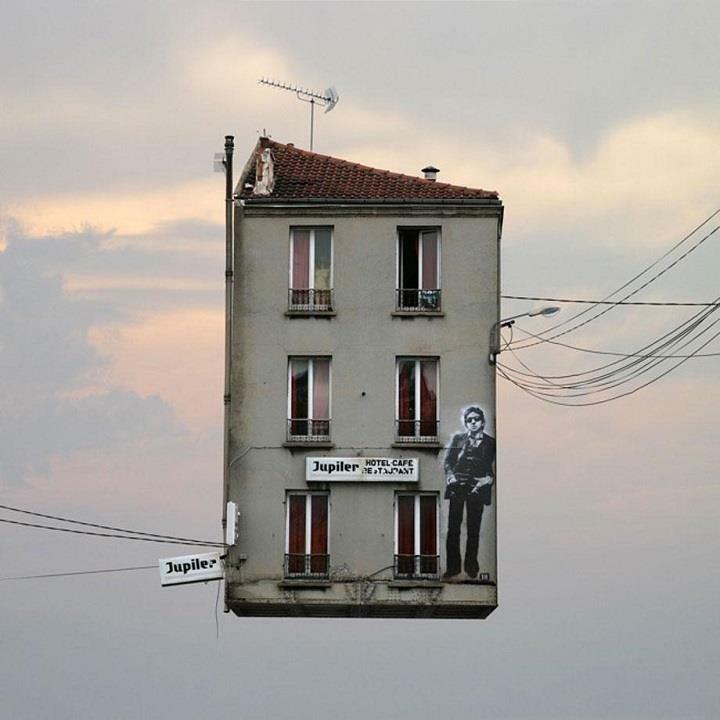 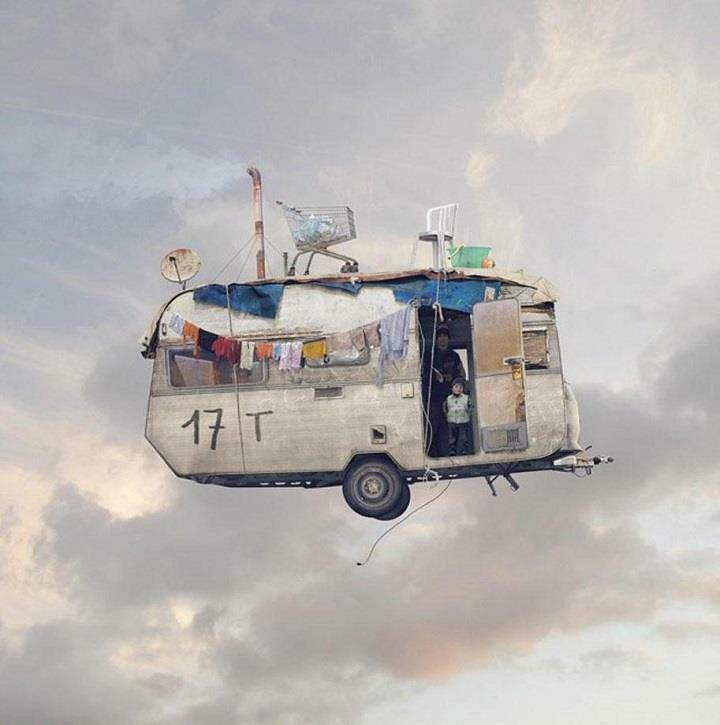 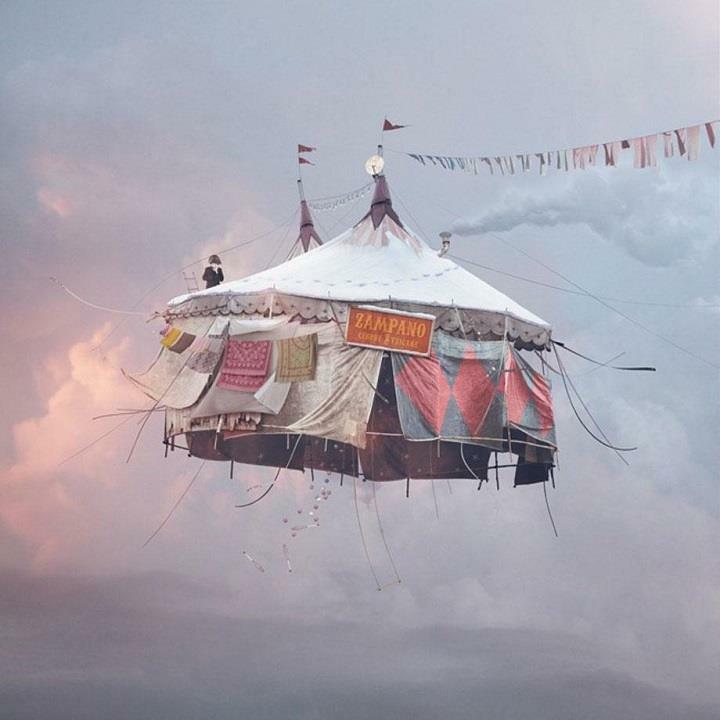 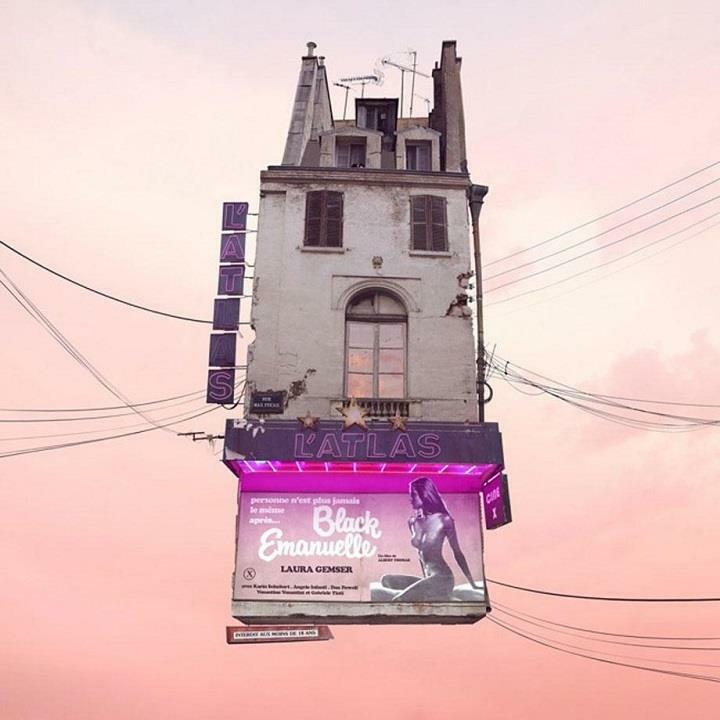 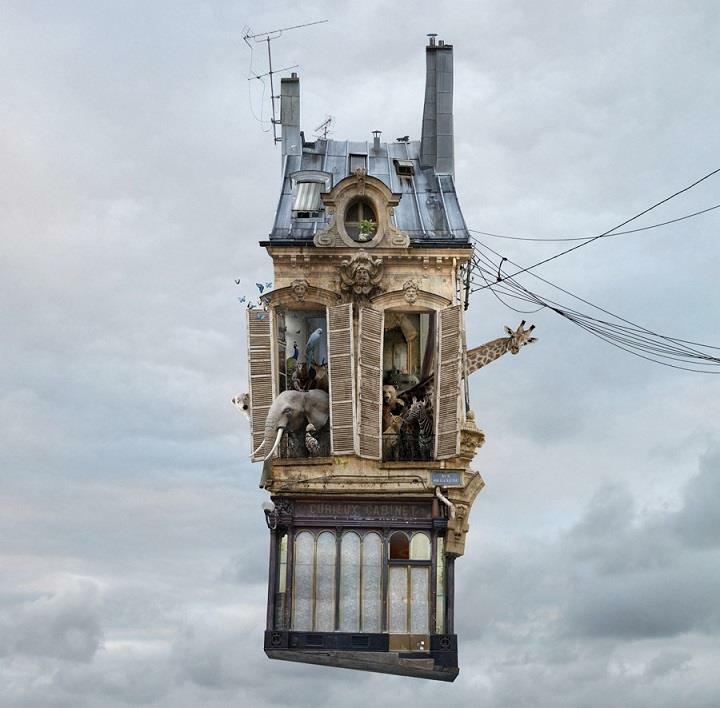 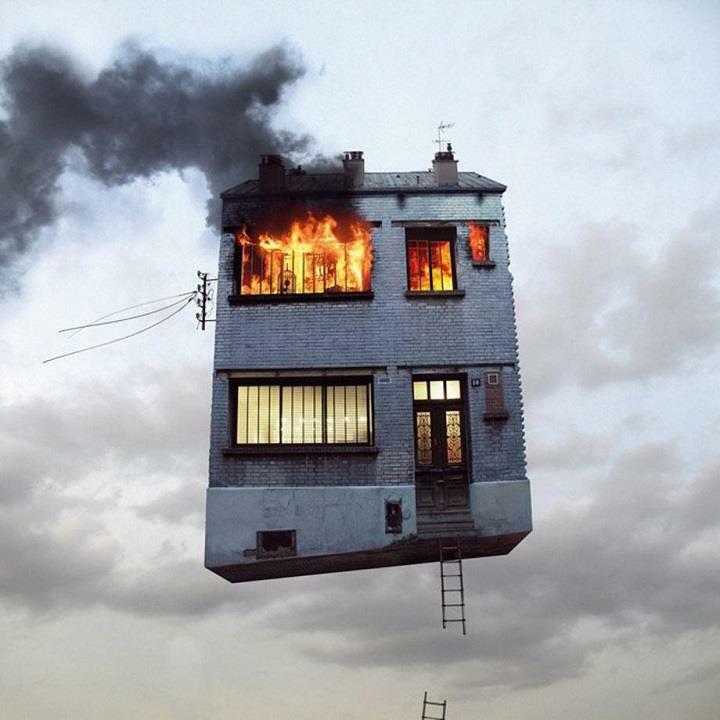 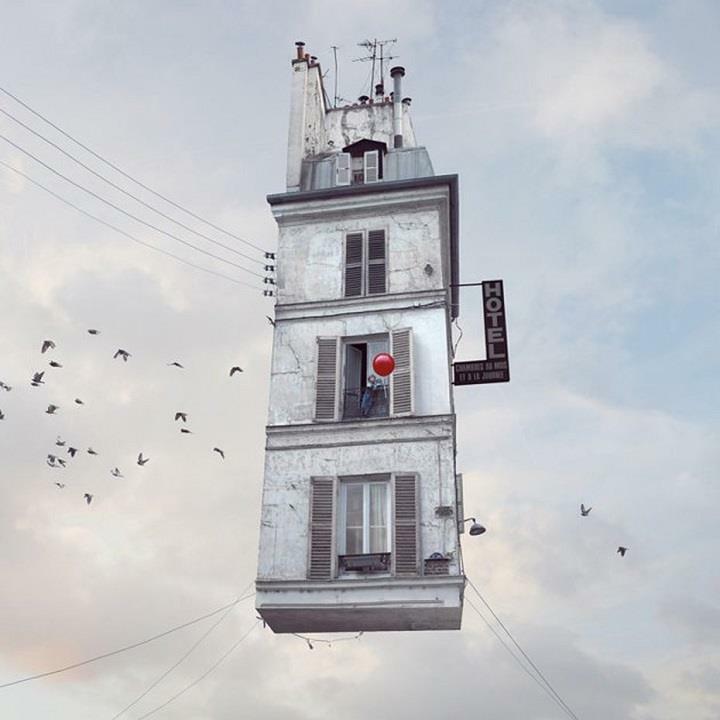 French photographer Laurent Chehere explores inspirational architecture of Paris in his “Flying Houses” series. 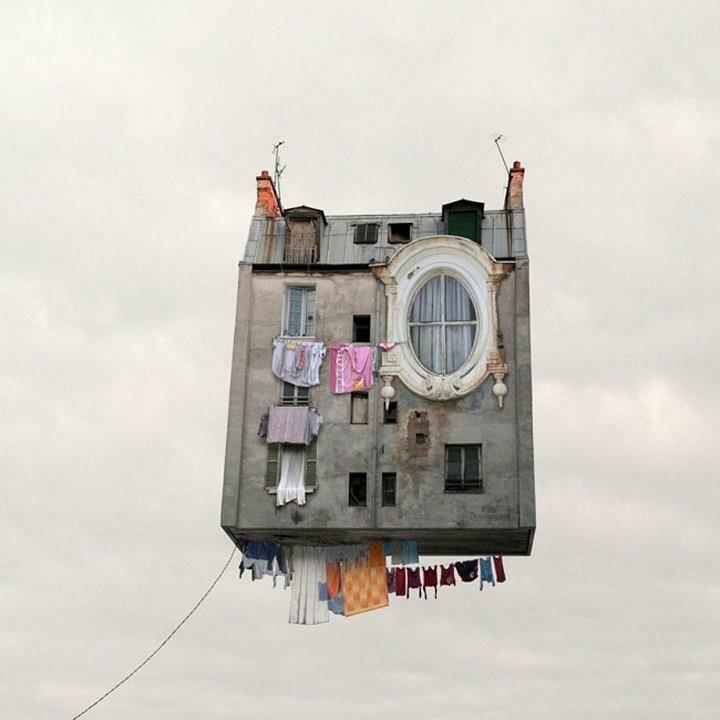 The collection includes photos of various buildings, hotels, homes, trailers, and tents. 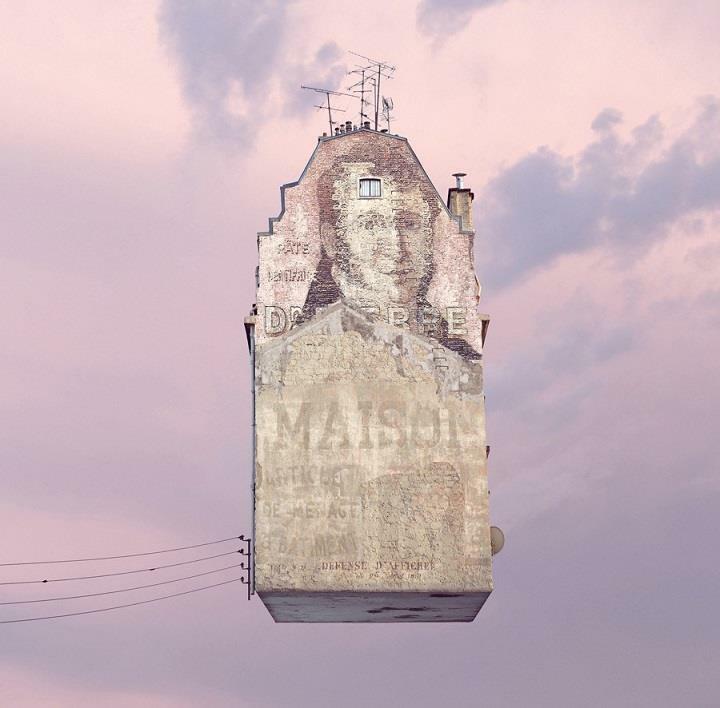 But they are not ordinary, as he digitally manipulates imagery to let the buildings fly.